Porta Mallorquina - your leading real estate agent in Son Caliu! You are looking for a property for sale in Son Caliu, or have a question regarding our real estate offers in Mallorca? You were not able to find the ideal house in Son Caliu? Then please call us on +34 971 698 242, or send us an email to info@portamallorquina.com. Our Porta Mallorquina real estate agents in Son Caliu will be pleased to asist and will help you find your dream property. The urbanization Son Caliu, located in the southwest between Portals Nous and Palma Nova was developed in the nineties and belongs to the favoured residential areas, due to the possibilities to spend the leisure time and multitude of shopping facilities. Within spitting distance you have the elegant marina Puerto Portals, the shopping mile of Palma Nova with its tasty restaurants and the longest bicycle route from Cas Catala till Santa Ponsa, which contributes to an excellent quality of life. 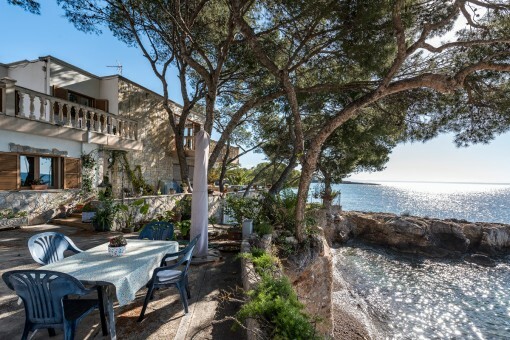 you are reading: Son Caliu: Property for sale in Son Caliu by Porta Mallorquina Real Estate · Porta Mallorquina Real Estate Rating 4,8/5 by 200 testimonials.